The Twilight Zone is making its way back to the small screen. It's been announced that CBS is currently working on a reboot of The Twilight Zone for the CBS All Access streaming service. Few details are available at the moment, but it's been revealed that Jordan Peele (Get Out) will produce the new version of the classic sci-fi series, via his Monkeypaw production banner. The announcement was made by CBS's Leslie Moonves during a recent earnings report. Unfortunately, not much was revealed at this time. Marco Ramirez (The Defenders, Daredevil, Sons of Anarchy) has been hired to pen the script for The Twilight Zone reboot and is signed on to serve as showrunner as well. Right now, it hasn't been made clear if this is just a development deal, or if CBS has already ordered the reboot to series. CBS has been trying to break into the modern era with CBS All Access, which they hope can compete with the likes of Netflix and Hulu in the coming years. Star Trek: Discovery, which was recently renewed for a second season, has been a big hit for the streaming service already and, given the news of this Twilight Zone reboot, it's clear they're doing their best to bring some big titles to the platform. Here's what Leslie Moonves had to say about the future of programming on CBS All Access. "The good news is, the bet is paying off. The programming kind of needs to be more premium than it would be on CBS ... It needs to be more specialized, needs to stand out." CBS All Access will also be home to the first season of The Good Wife spin-off, The Good Fight. So there will be plenty of desirable content in the coming months to draw in new subscribers. Currently, the streaming service already offers users the chance to watch the original run of The Twilight Zone, which ran on CBS from 1959 to 1964. Marco Ramirez feels confident that CBS is strategizing well and will be viable in the coming years, even if others struggle to find their place in the changing marketplace. "There will continue to be a widening gap between the haves and have-nots and clearly we are on the right side of that divide." 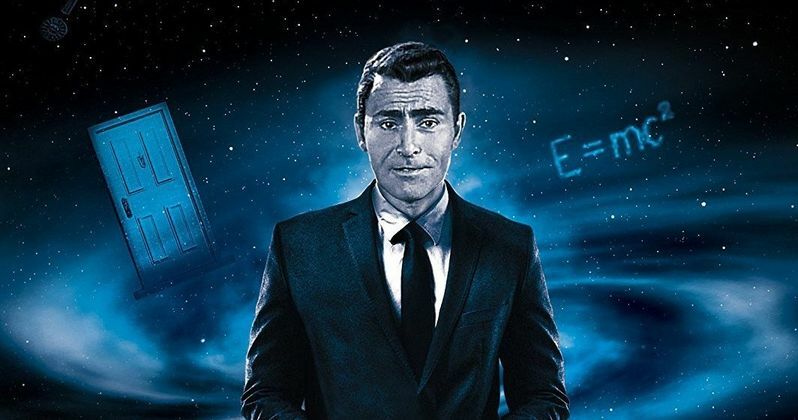 The Twilight Zone was created by Rod Serling and has been through several iterations over the years. Twilight Zone: The Movie was released in 1983 and there have been two previous TV revivals. One that ran from 1985 to 1989 and a second, shorter-lived attempt that ran from 2002 to 2003. There's also been comic books, radio dramas and The Twilight Zone Tower of Terror attraction at Disney's theme parks, which was recently retired. The Hollywood Reporter doesn't have any word on when we may see this reboot, but it sounds like it's in the early stages. We'll be sure to keep you up to date as more information is made available.